I really like turquoise contacts, is like a mixture of green and blue. Those contacts just make my eyes looks brighter. I have berry holic blue contacts earlier. The contacts was just enhancing the look at my eyes. The design was cool and quite decent. Subtle enlargement but comfortable. 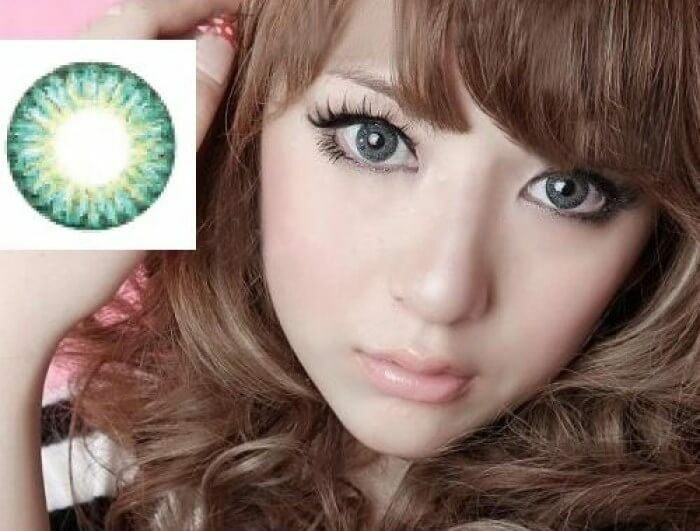 Recommended blue contacts for brown/hazel eye color. For me, I seldom have turquoise lenses but I think that it will be cool to have one. Therefore, I purchased a turquoise blue lens which is the Geo Berry Holic Turquoise Blue Lens from LensVillage. It gave me a huge surprise while putting it on. It looks just stunning on me and I love the color of the turquoise. Not much of enlargement but I think the enlargement size is what I want. Definitely a comfy lens. Nothing much about the negative side of this lens.